Looking for a beautiful and unique Mother’s Day craft for kids? 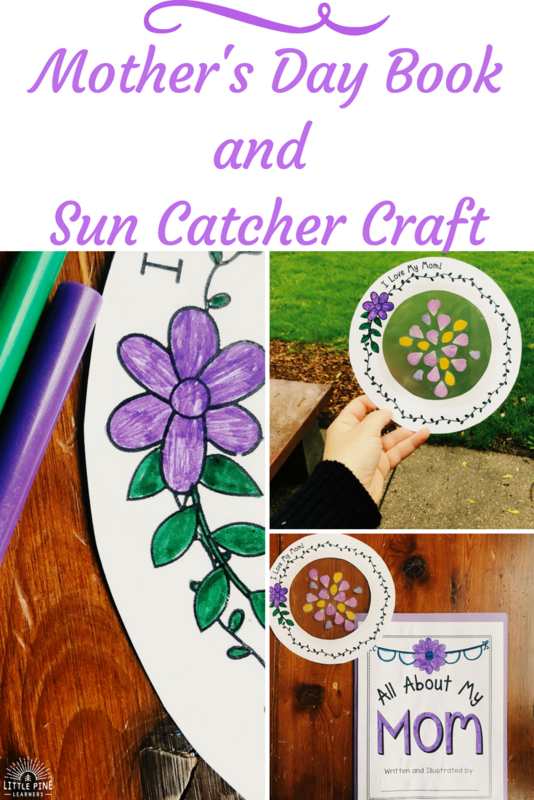 This Mother’s Day book and sun catcher is the perfect gift for your kids to create for their moms, grandmas, and aunts in their lives! 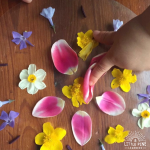 Flower Petals- Use flowers from a bouquet or your own yard! Print the sun catcher on card stock. Cut on the light gray dotted lines. You will need to poke your scissors through the center of the sun catcher to cut the inner gray line. You can choose to color the flowers or leave them black and white. The sun catcher looks pretty either way! You may want to do this step first if working with younger children so they don’t rip the paper when coloring. Cut out contact paper and put it on the back of the sun catcher. Make sure you use the *glossy* contact paper! You can use the circle as a guide for the contact paper. This is on the last page of the resource. 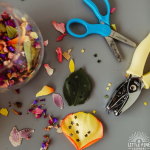 Use flower petals to make a design and stick on the contact paper. You can use either whole flowers or petals. Cover the petal design with another piece of contact paper. These sun catchers are so fun to make and look beautiful in a window! Have your children color and fill out the pages to their books. I included a cover, 4 different options for the inside of the book, and an ‘About the Author’ page for the back side of the book. Use the 2 inside pages that will work best for your children. If you are working with children that can’t write yet, interview them and fill out the questions for them. The answers are always adorable/hilarious and sure to bring a smile to any momma’s face! We folded a piece of 12×18 inch construction paper in half and used a glue stick to glue the completed pages on the construction paper. You can also just staple the pages together if you don’t have construction paper. Place the sun catcher inside the book and your gift is all set! I hope you give this Mother’s Day craft a try! I promise your little nature lovers will love it as much as my boys. If you would like to learn more about this book and craft, check out this page! Looking for more fun ideas? 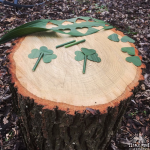 Check out Creating a Musical Forest!